We all are different, and while video games can be just one of the thousand things to do for fun for one, they can mean the whole world for another, however, everyone will agree that playing video games is exciting. A gaming controller is one of the most essential and important parts of the whole experience, it is the tool that lets you control your overall gameplay, movements, precision and will either give you the satisfaction or leave you disappointed by your performance. 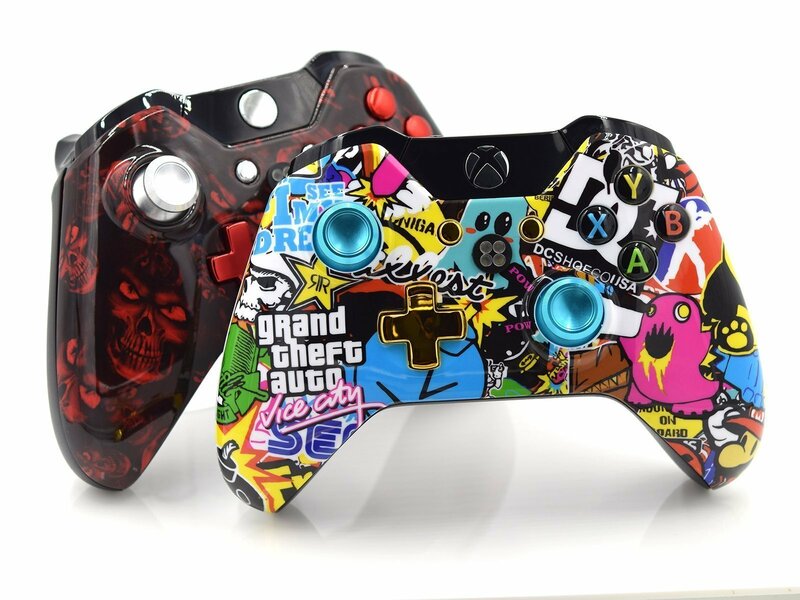 Lately, controller customization has become a very popular service that lets you personalize your Xbox 1 or PlayStation 4 gaming pad exactly to your liking in terms of the design and even performance of the device. 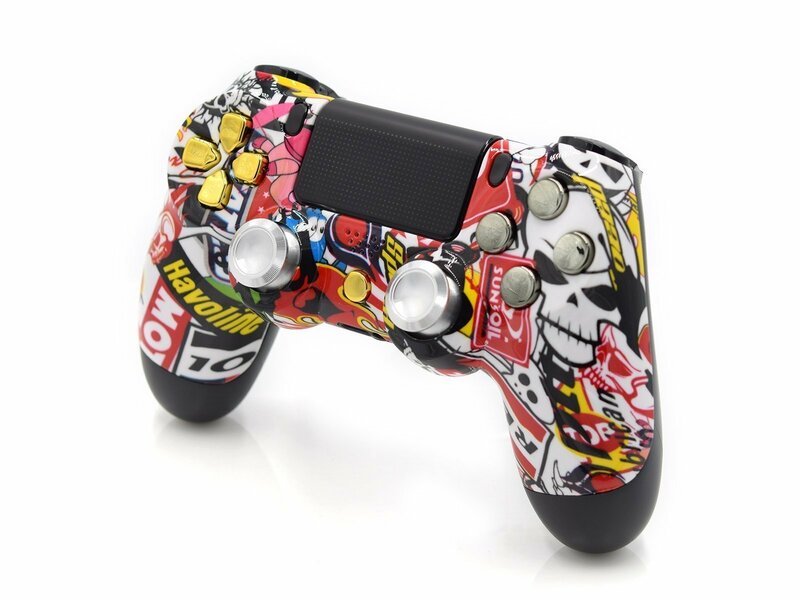 The history of personalized controllers started a few years ago with first customizations of Xbox 360 and PS3 remotes. 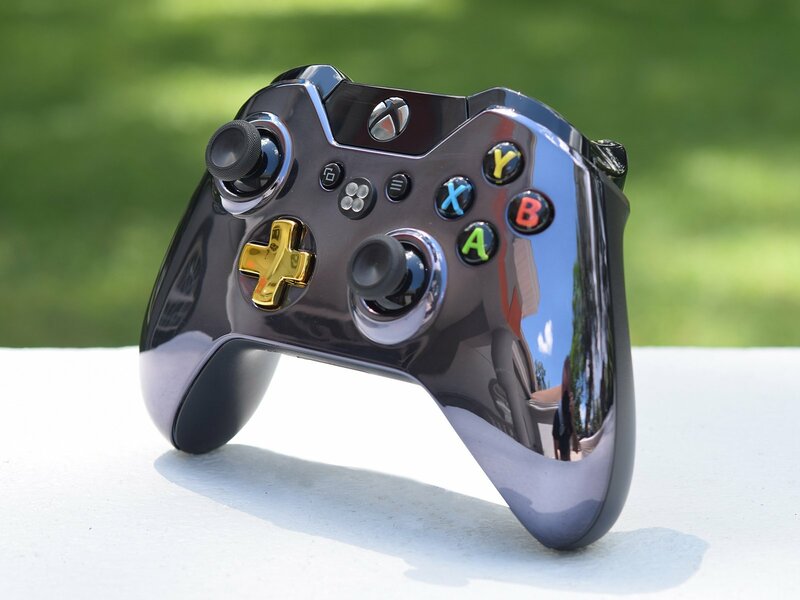 With the appearance of the newest generation of Microsoft and PlayStation pads, more exclusive options have become available, and now even the official manufacturers offer this service, for example, Xbox Lab provides with tons of design enhancements via the brand website. Can custom controllers be called third-party gaming pads? Not entirely, they are somewhat made from third-party parts like shells, buttons, sticks and other removable elements, but the hardware always stays original, produced by MS and Sony. What types of customizations are available? Anything on the product outside can be changed starting from a body, analog sticks, D-pad, bumpers and triggers, side and back panels to any face buttons to reflect your personal aesthetic vision. Performance upgrades include more advanced customizations such as installing thumb sticks of various shape and length, reprogrammable paddles, adjustable hair triggers and grip panels to fit your hand size and provide better control in the game. 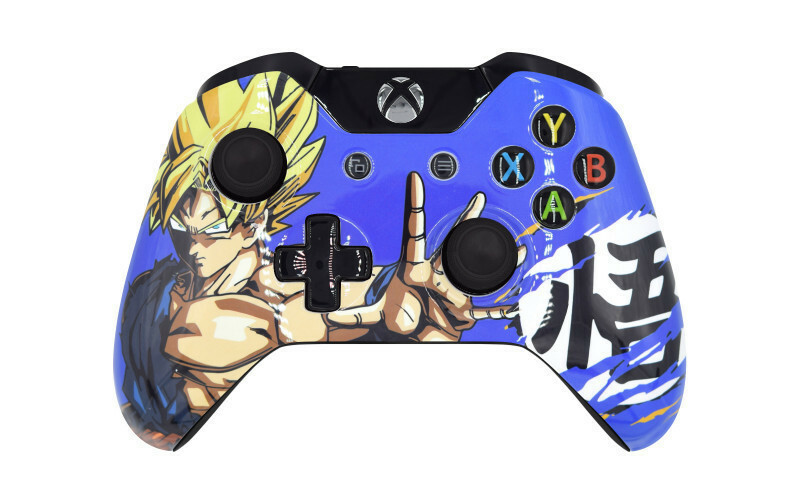 Custom controllers are a must have for those looking to express themselves, spice up the gaming routine, add more abilities to the performance and much more! Since there are many companies on the market offering this type of upgrade, one should know what to look for when making a purchase. Third party controller parts were designed to improve your experience and under no circumstances, they should affect the performance in a negative way. The most common flaws occurring with custom elements are buttons getting stuck or loose thus worsening the movements in the game. One thing you never want to do is trading a performance over the look. The best way to get a reliable and durable product is to make a thorough research, check for website and product reviews before buying, get familiar with company policy on product assembly time, returns etc. Some websites require weeks of processing time especially if customization ordered is too deep and involves any personal designs, logo or tags. 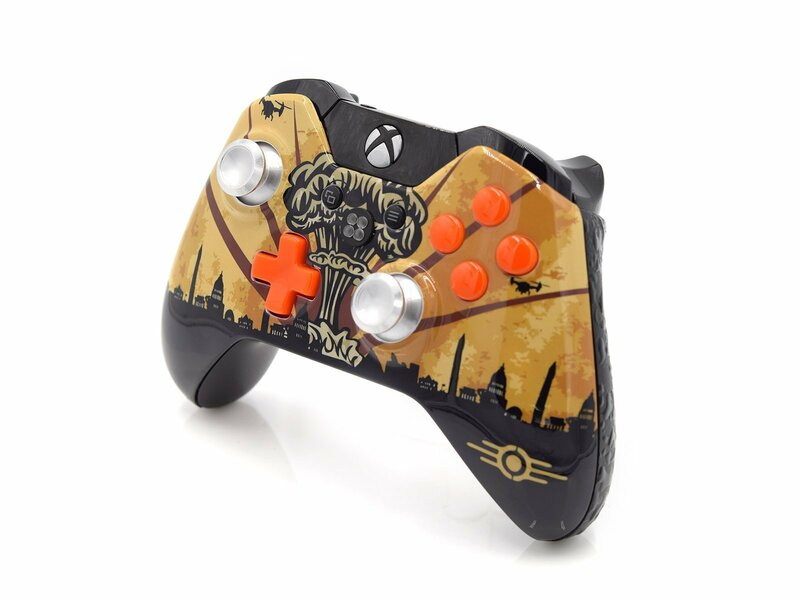 The best way to get a custom looking, the properly functioning device in a timely manner is not to overload the controller with too many personalizations. Another useful thing to do is to confirm with the maker on what controller generation they use for their services. 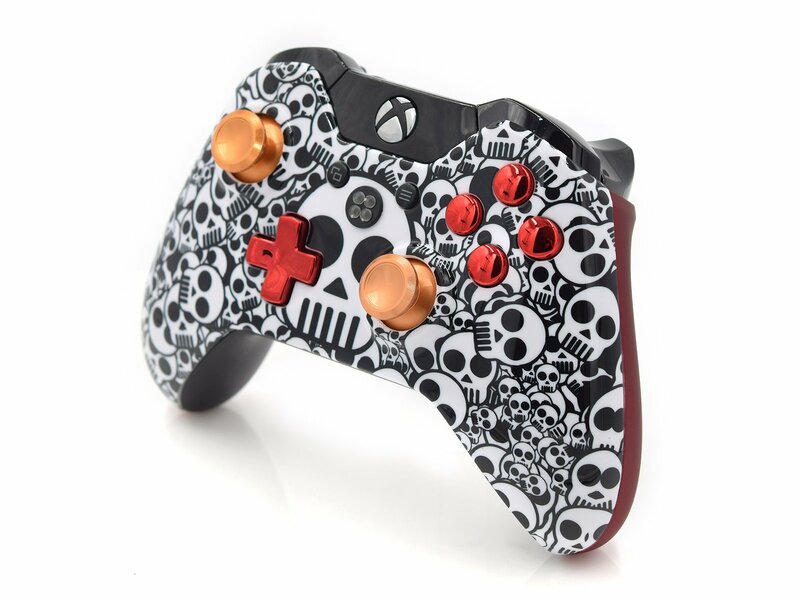 A lot of companies customize outdated pads version that will make you lose in performance again, for instance, older Xbox One controllers may not have 3.5 mm headphone jack, Bluetooth connectivity and other options available in the latest generation products. 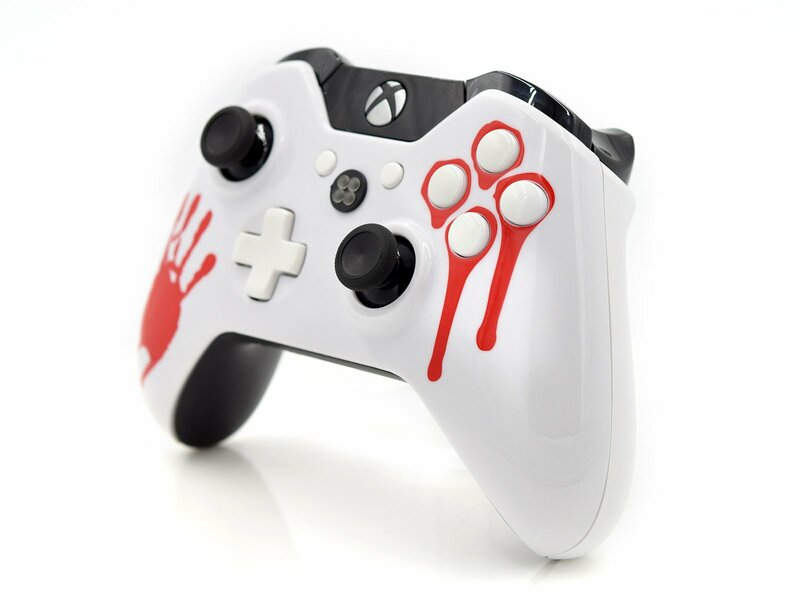 Among the biggest controller customizing companies on the market is Xbox Design Lab specializing in enhancing Xbox One controllers look in a variety of ways. You can replace stock buttons and parts with custom colored ones, try various combinations, see how they will look like on your controller and share your artwork with friends to get a valuable opinion. If you are looking for performance boosting perks, you are out of luck as the Design Lab doesn’t offer this type of service, only exterior customization. 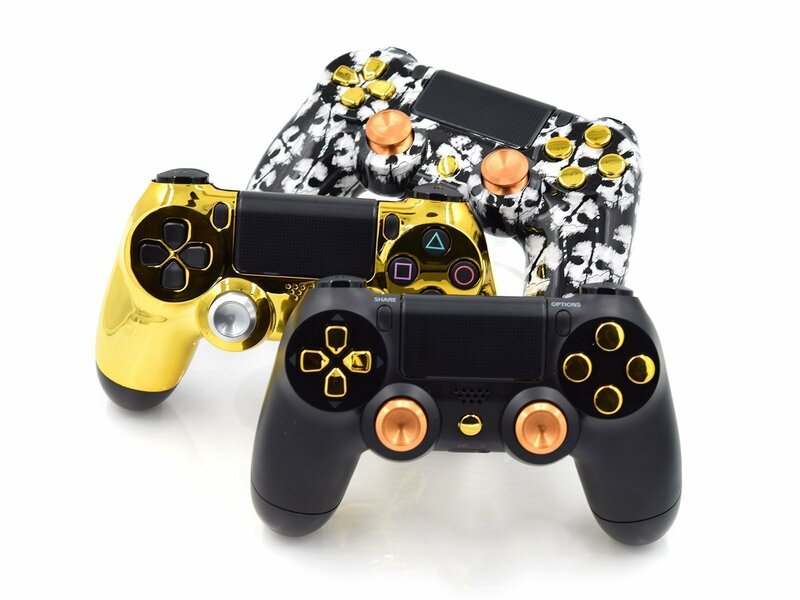 Another market leader worth mentioning is Scuf Gaming that provides an extensive level of enhancements to both Xbox and PlayStation gaming pads. 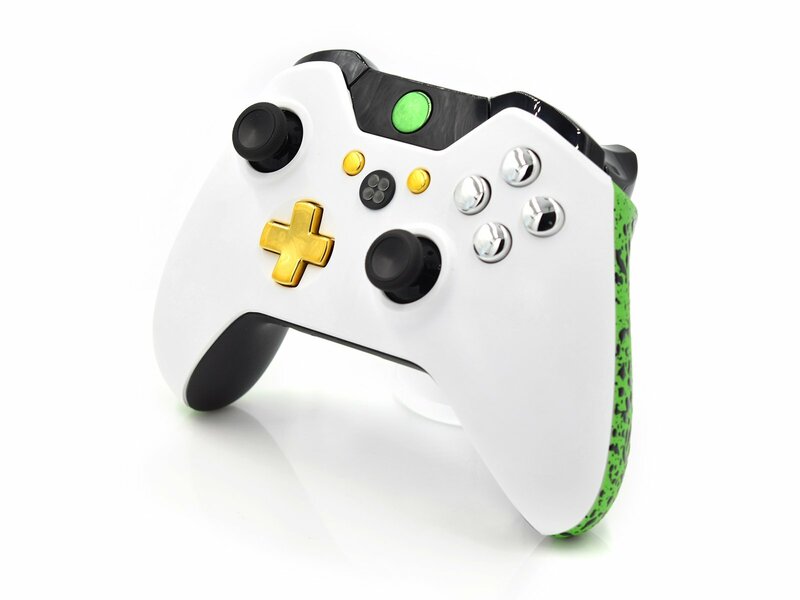 Custom designs may be not what Scuf is most recognized for - their speciality is gameplay improvements offered via the variety of advanced triggers, sticks, d-pads, programmable paddles and more. So how exactly does a Custom Controller Maker feature work? All websites offering this service provide an online platform with similar functionality. 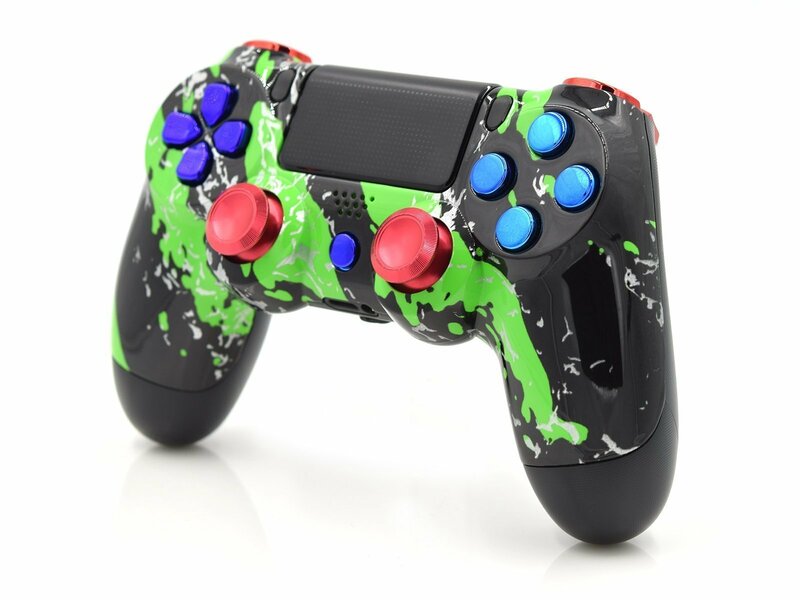 You will start working on a standard looking controller for the gaming system of your choice and will go through a series of transformations to reach the product final appearance and performance if desired. Most companies offer custom created parts that can replace factory options. 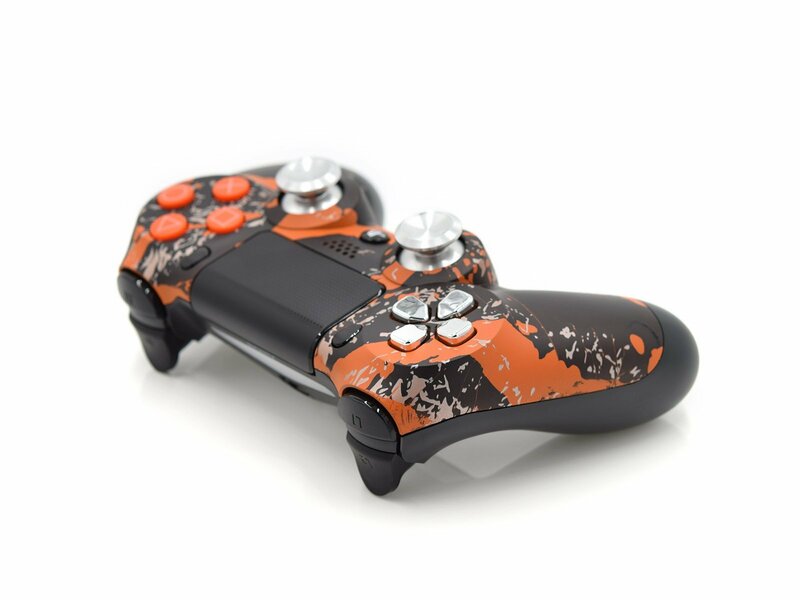 You will be able to select from a variety of colors and textures available for the product body, d-pad, any face and menu buttons, analog sticks, triggers and bumpers, side and back parts for your gaming pad. Keep in mind, that some components can come with a different shape and be built from special materials aimed to improve your gameplay. 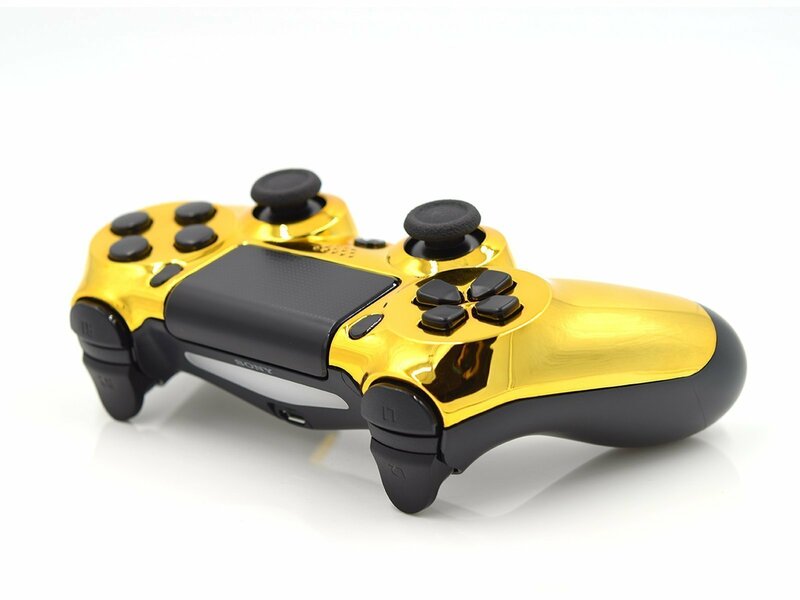 For example, the skin for the controller can feature a matte surface to provide more comfort while playing, side rails can be rubberized to provide extra grip, thumbsticks may offer various length to fit your hand size and ensure maximum usability. Basically, it is up to you what to upgrade your controller to get it built 100% tailored to your gaming needs. Another useful option offered by Build Your Own Controller service, is an ability to see all changes immediately in real time via photo-realistic abilities of the platform. You can create an unlimited number of combinations, save the ones that look the most appealing to you and even share your artworks with friends to get an approval or dislike. 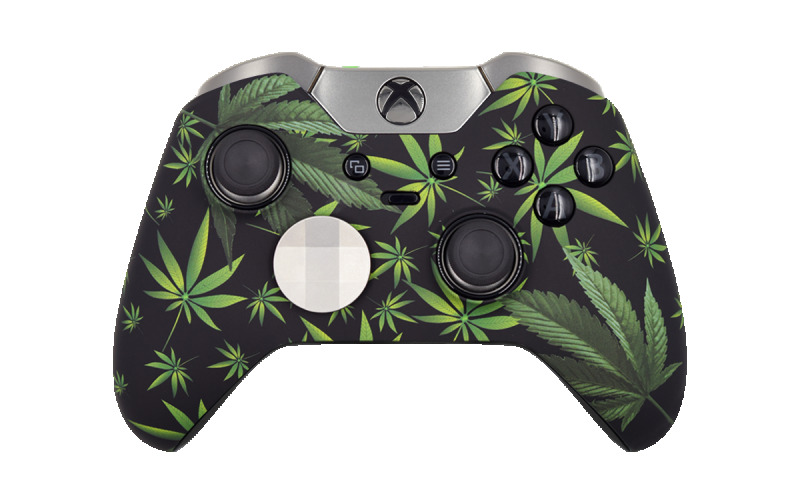 At the end of the day, you want to be able to demonstrate your taste and creativity to your crew via a custom built Xbox or PlayStation controller, therefore the final approval of your friend's matters. Configuring your personalized gaming gadget can become very exhausting and may require few hours for completion - no need to worry. All reputable customization websites offer the option of saving your progress to Wishlist and finishing it later at anytime. It’s a great idea to assemble your pad online, save it and give it a fresh look afterwards to ensure the product looks exactly like you want and there is not a single part that needs to be changed. 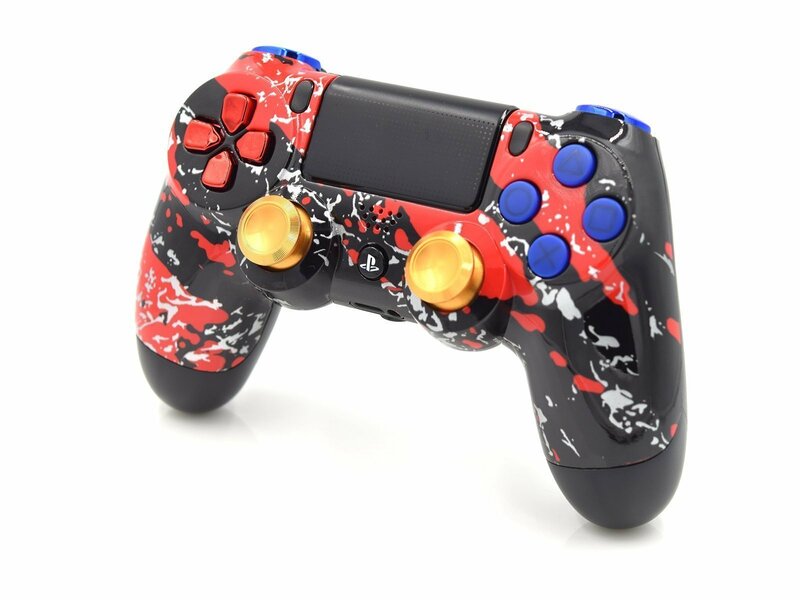 Once you are satisfied with the controller custom configuration, just proceed to checkout, place your order and start counting days before your gaming pad arrival. To get the best offer on the market, the advice from experienced custom controller purchasers is to always check the assembly time and see if there is an expedited build option available to ensure the fastest delivery of your device. Also do not forget about an extended warranty, as throwing extra ten-fifteen dollars on this option will pay off at the end. 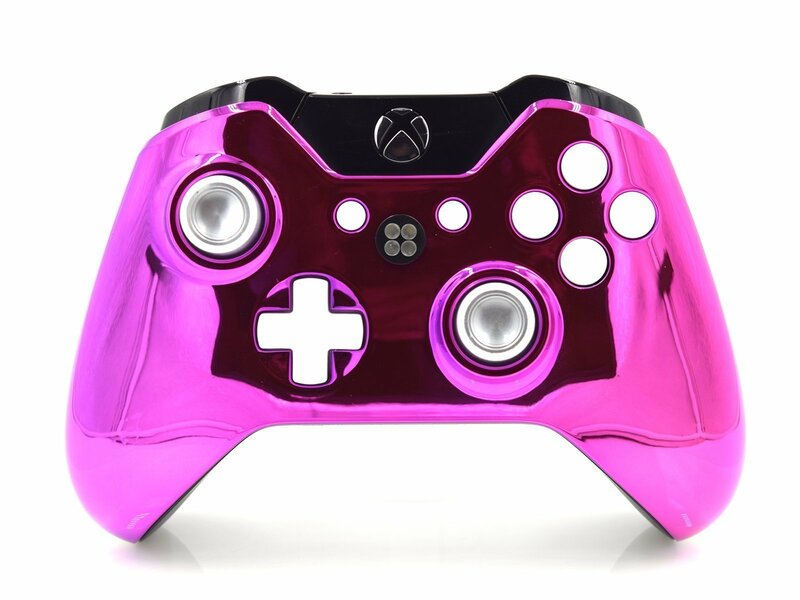 A custom controller is a complex electronic device that can break and you don’t want to be responsible for possible repair charges if your warranty is no longer valid. 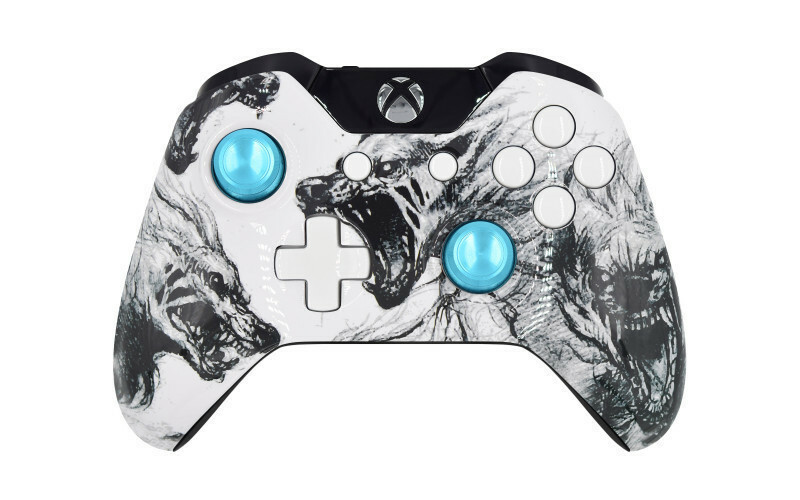 Are Custom Controllers Worth It? Whether you support or hate the idea of a custom controller, building one for an enhanced look, elevated performance or just for the experience, is a must try for every gamer. 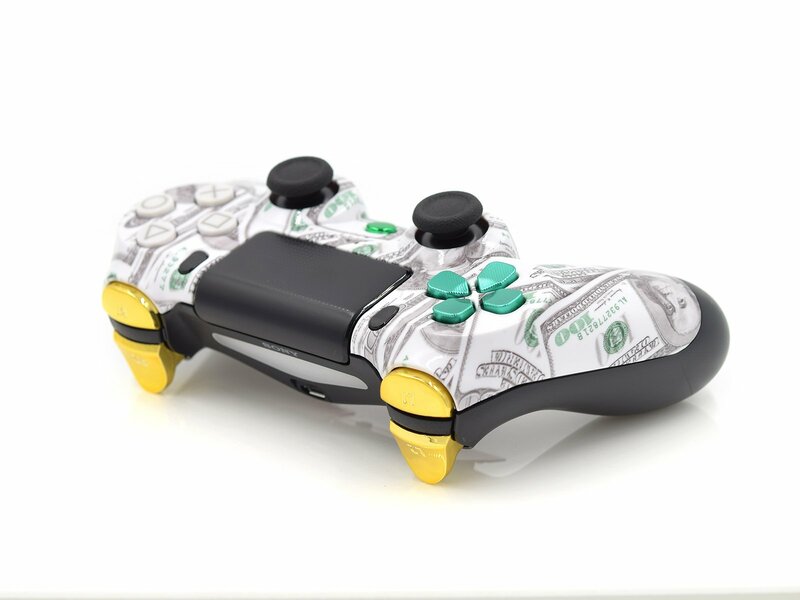 Depending on the customizing company you decide to go with, you may experience a different increase in price compared to standard gaming controllers. Some websites offer their services relatively cheap, with only $20-$30 raise over a regular pad cost, while the others may end up costing a fortune depending on the customizations added. Have you tried custom built gamepads yet? What enhancements do you find to be the most and the least useful?